GOSH!ABOUT: NADA NY’17 Art & Emerging Artists – GOSH!About: Fashion. Art. Music. Events. TV. Non Profits 'N' Lifestyle > Subscribe now! Photo Credit: Casey Kelbaugh. Courtesy of NADA New York. 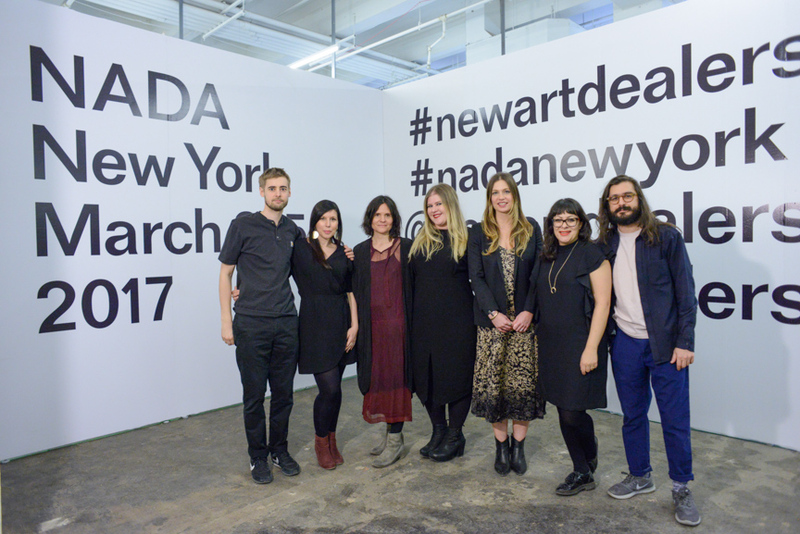 From March 2 – 5, 2017, New York exploded with emerging artists and a full house to receive them and their works of art, at the 6th annual NADA NY ART FAIR, at Skylight Clarkson North – 572 Washington St. Kickstarter as the lead partner with NADA Presents, an interdisciplinary program of performances and conversations from exhibitors, artists, and cultural partners, for its third year. Artists, dealers and collectors noted the mature, 70,000-square-foot space filled with NADA’s best emerging contemporary art, with a total of 126 exhibitors representing 37 cities from 14 different countries, 30 first-time exhibitors, and 36 project spaces. Founded in 2002, New Art Dealers Alliance (NADA) is a not-for-profit 501c(6) collective of professionals working with contemporary art. Its mission is to create an open flow of information, support, and collaboration within the arts field and to develop a stronger sense of community among its constituency. Through support and encouragement, NADAfacilitates strong and meaningful relationships between its members working with new contemporary and emerging art. In addition, NADA hosts two fairs a year: NADA New York and NADA Miami Beach.